Do not be scared of this strange looking ingredient in its raw form. 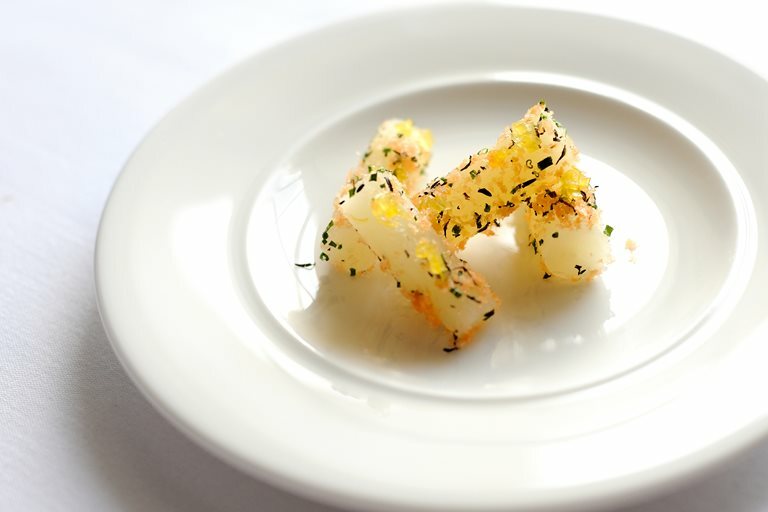 Simon Hulstone's salsify and smoked salmon recipe infuses this delicate winter root vegetable into a citrusy cylinder to serve as a canapé to impress. Remember to keep the peeled salsify in water before cooking, otherwise it will go brown. For more recipes using lemon, have a look through our collection of lemon recipes.